As we all know, the Heroes Global Championship will not return in 2019. We were one of the first teams worldwide to pick up this incredible game and today we are sad to leave the Heroes of the Storm competitive scene. We are clearly taking this direction because of Blizzard Entertainment decision (read more...). Our roster was featuring top names in this competitive MOBA scene. They were some of the most talented and most eager competitive MOBA players out there. They dominated the Blizzard's Heroes Open Division League like no team managed to do before. 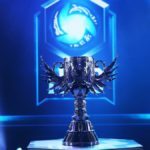 They managed to qualify for the HGC bringing fear and respect to the biggest organizations out there. These five passionate ePunks' players claimed perseverance and diligence as the foundation for their team. They made us proud. Thank you Sarly for managing and coaching our ePunks Heroes. Thank you JohanLauber, GranPkt, Cas1752, SonicLeBeast, and R0skmeg. You are real champions and ePunks will always be your home. We would also like to thank you- our fans for your continued and unlimited support.